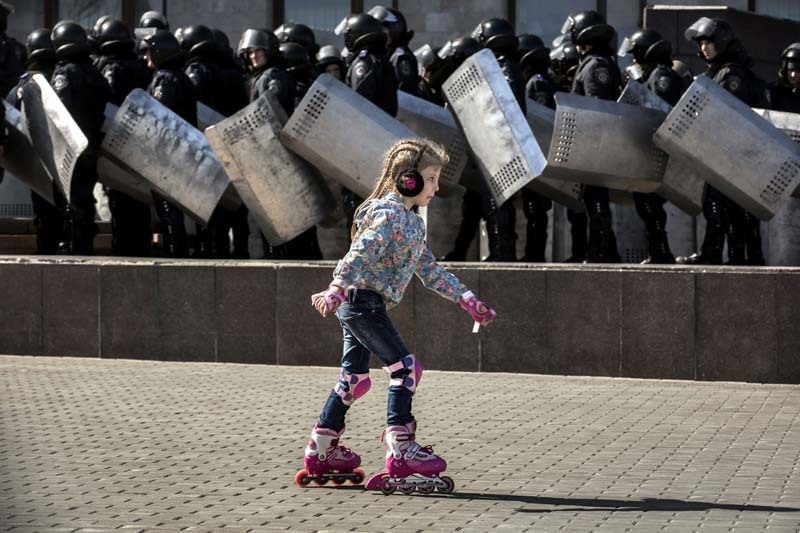 Donetsk, eastern Ukraine, march 22nd 2014. It is a beautiful spring day, the trees are getting green and the birds are singing. On the open square in front of the Local Administration Building a daddy smiles at his daughters first attempts to rollerblade. Suddenly the playful day turns dark when heavily armed riot police form a cordon. Five months later there are no playing children in front of the imposing building. The Ukranian army launches an assault against the separatists and the casualty rate climbs dramatically. Outside a house in the city somebody has put up a sign: “There are children here. !